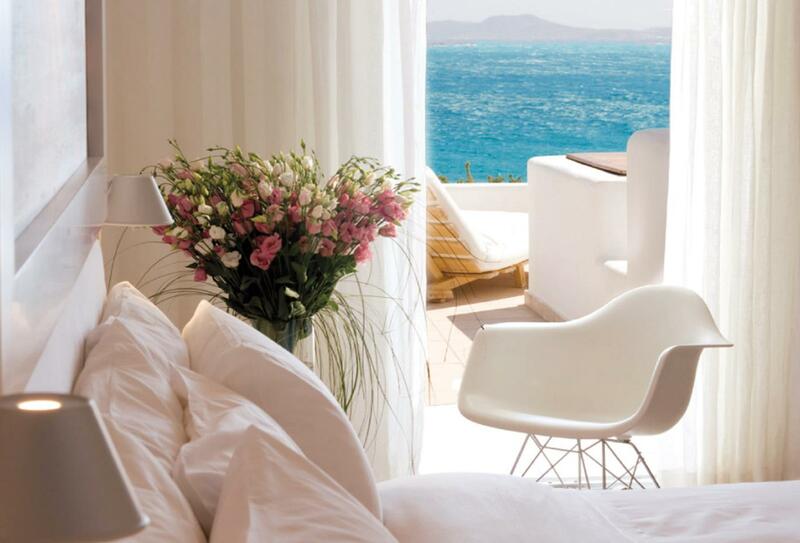 Grace Mykonos, Auberge Resorts Collection is located north of Mykonos town by the sea on Agios Stefanos beach. 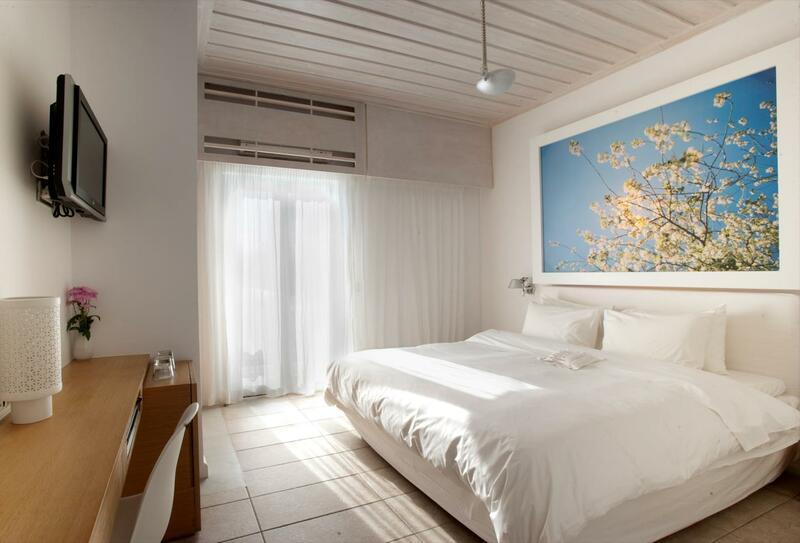 This design hotel has 32 rooms and suites, many with private plunge pools and striking views. 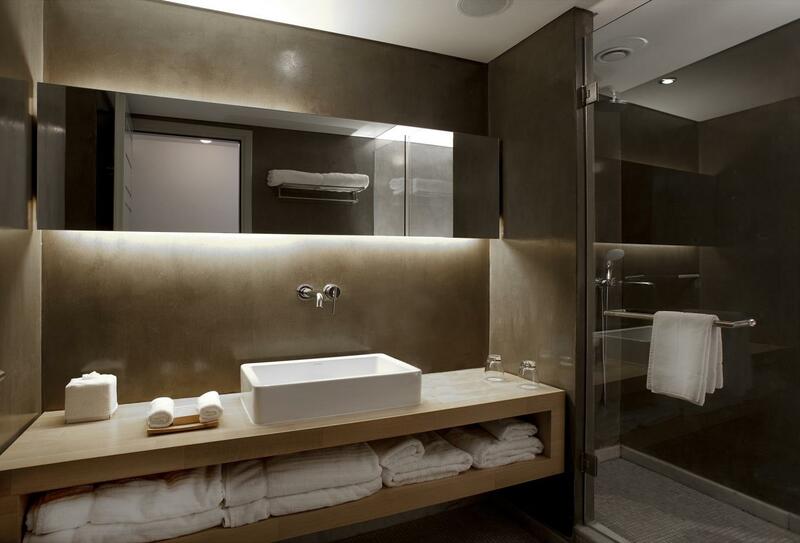 The hotel features a ‘Bespoke by Grace’ programme which includes an extended room amenity list and tailor-made experiences such as 7 choice pillow menu and in-room fitness kit. 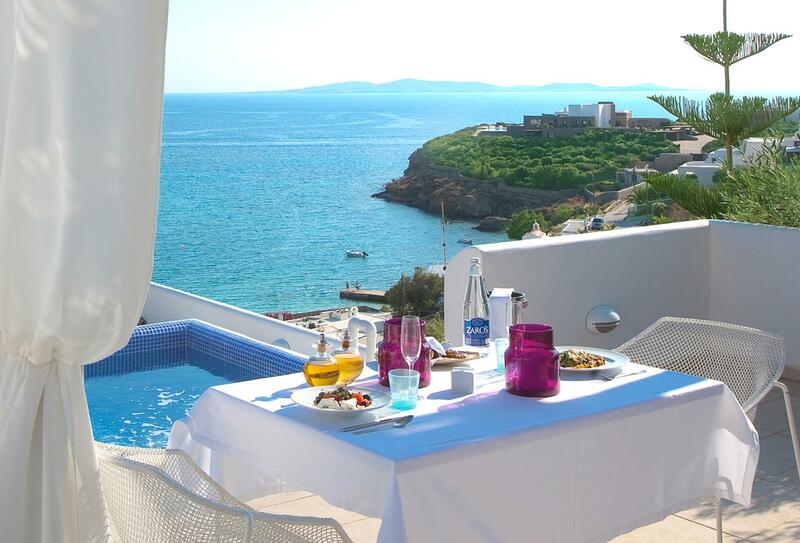 Grace restaurant serves breakfast, lunch and dinner with Mediterranean fusion cuisine and a la carte dining choices. 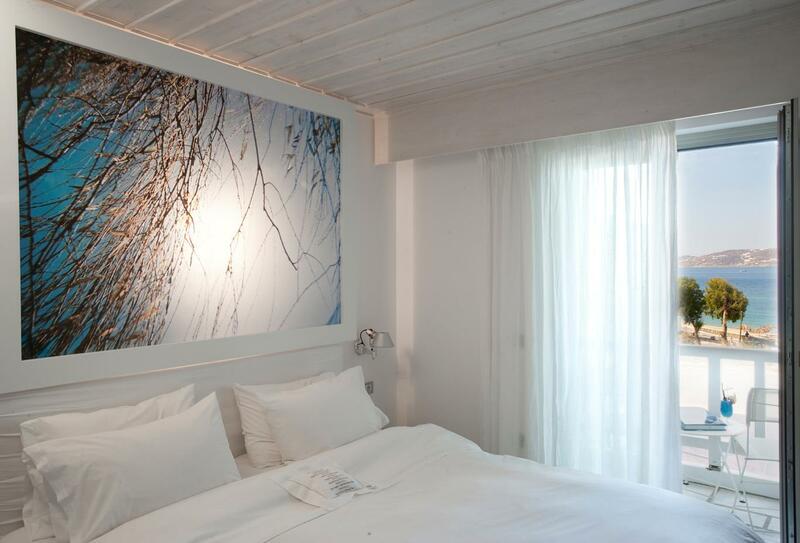 Amenities include a boutique art gallery, spa, swimming pool and gym and there is complimentary parking on site. 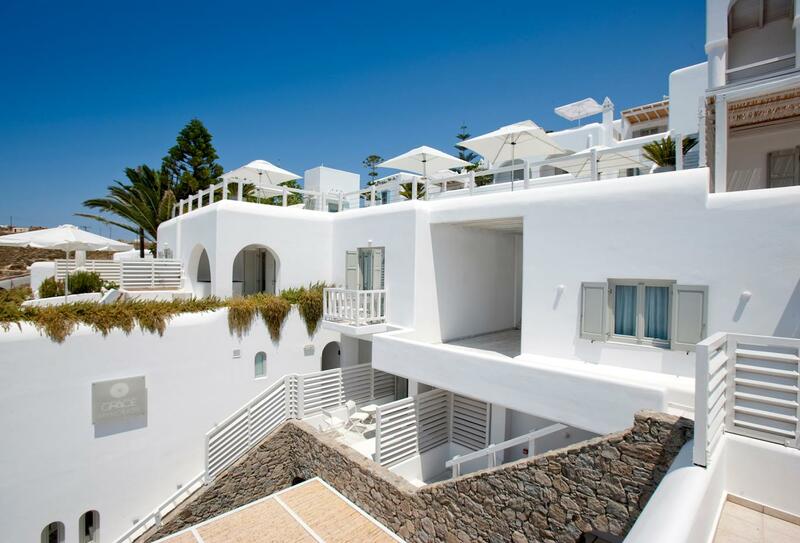 It also caters to families with Grace Kids to keep your little ones occupied. 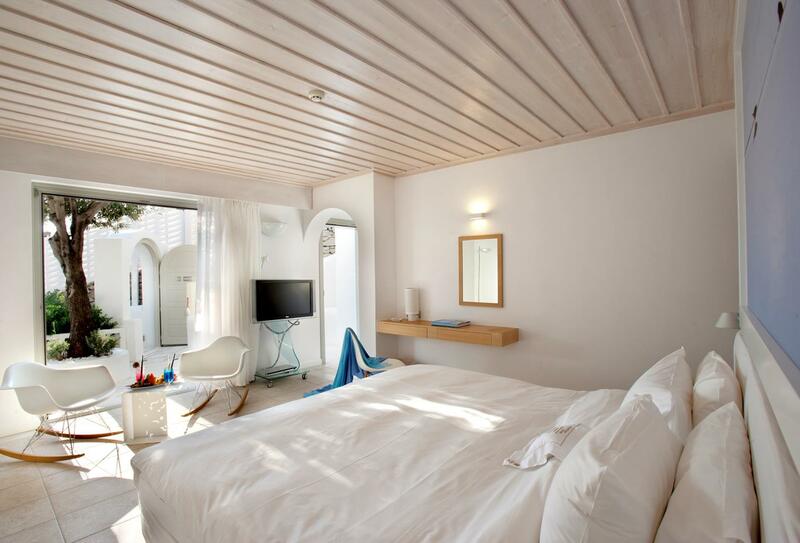 The Deluxe Room has a king-size bed, bathroom with walk-in shower and a small balcony. 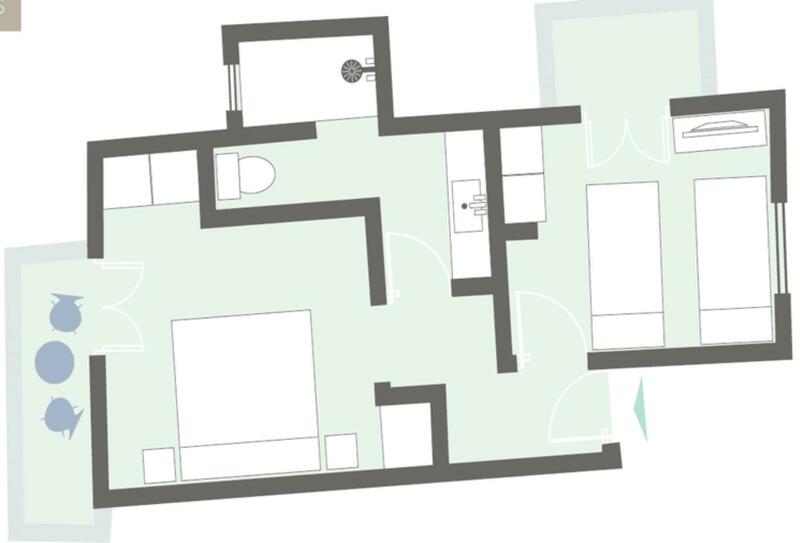 Located on the ground and first floors these suites have a king-size plus double sofa bed with a set of double doors leading onto a cosy balcony. 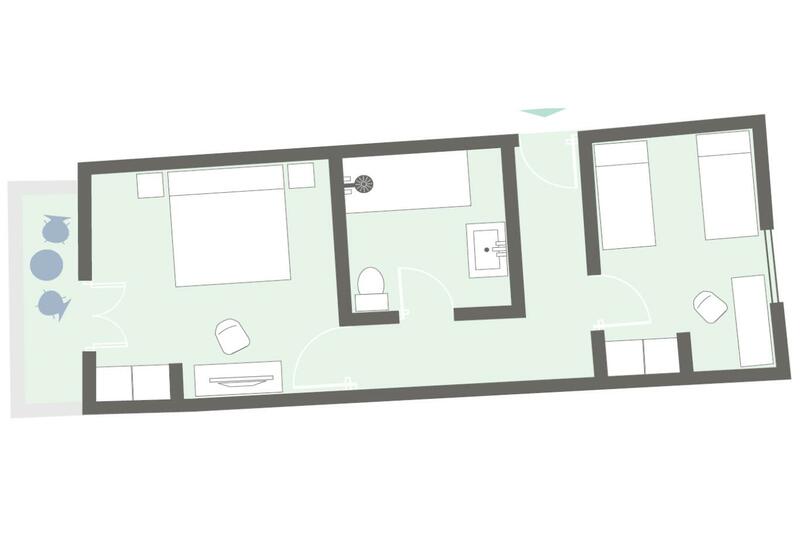 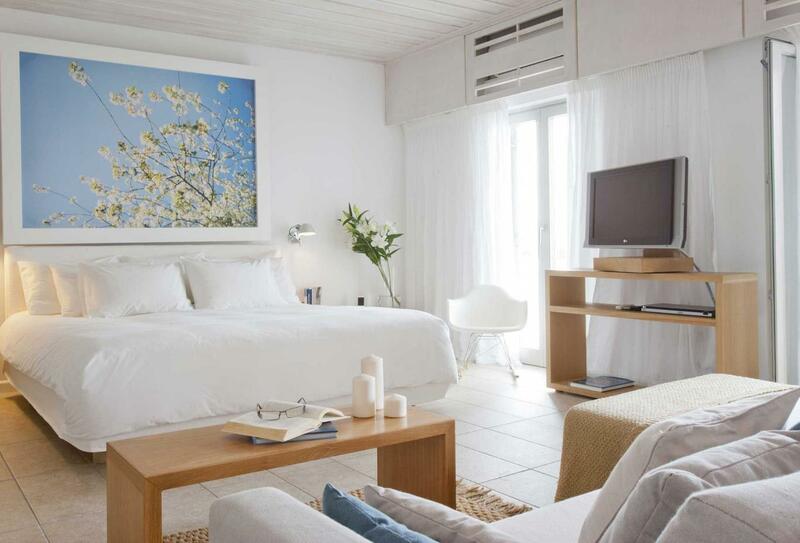 The family suites are situated just above the pool level and feature two bedrooms with a choice of bed configurations. 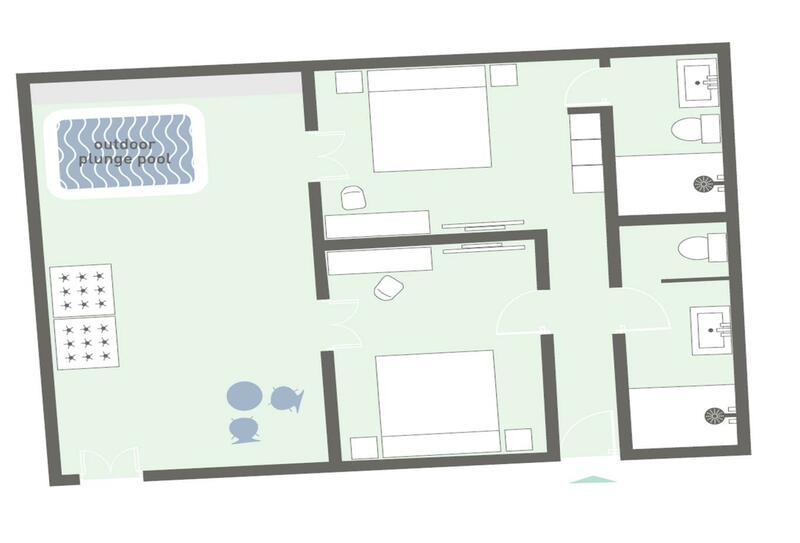 One of the largest at the hotel suite offers a generously proportioned bedroom and a sitting area with sofa that may easily be converted into a double bed making it ideal for families. 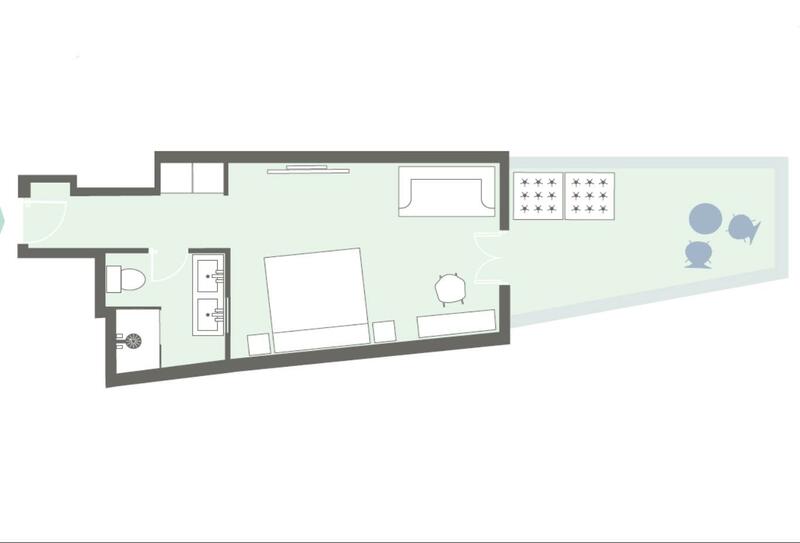 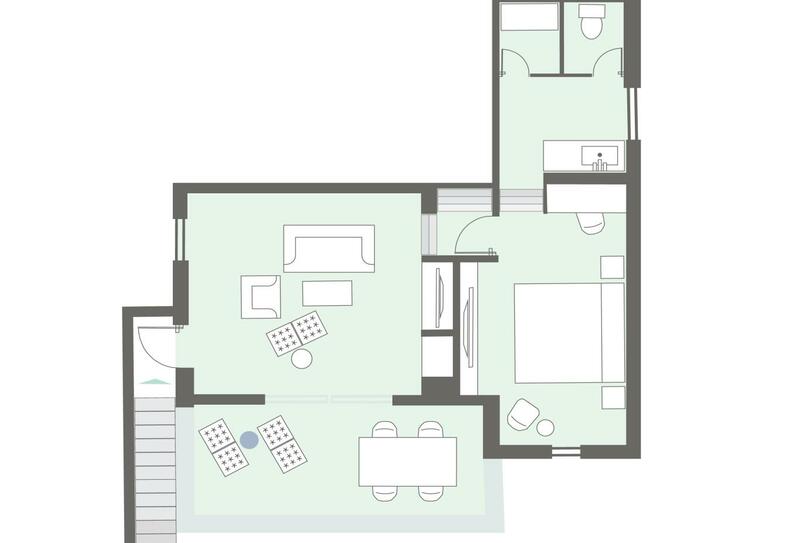 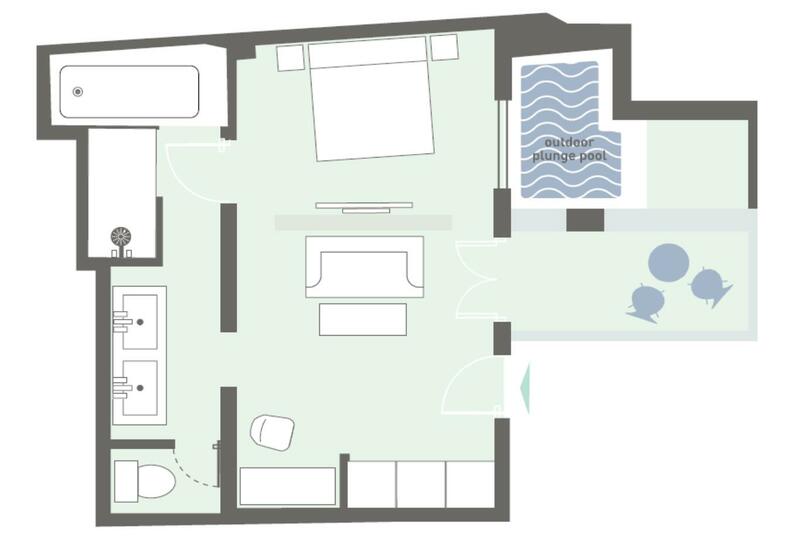 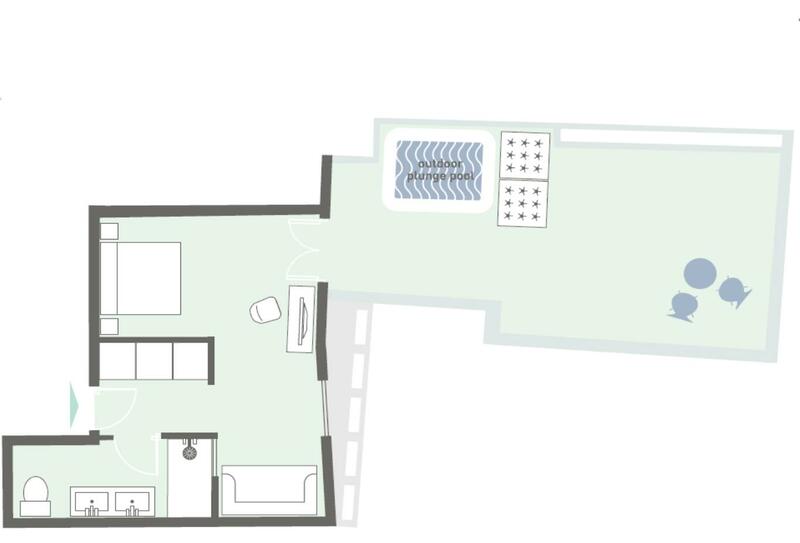 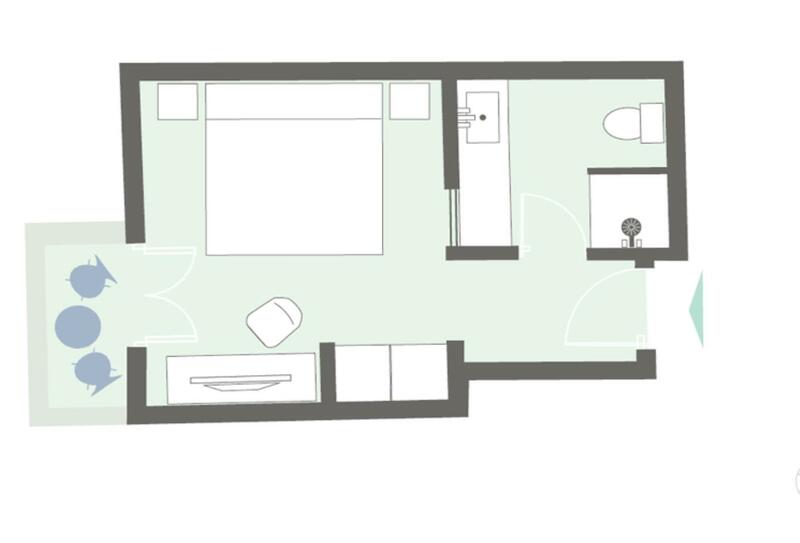 This suite has two bedrooms. 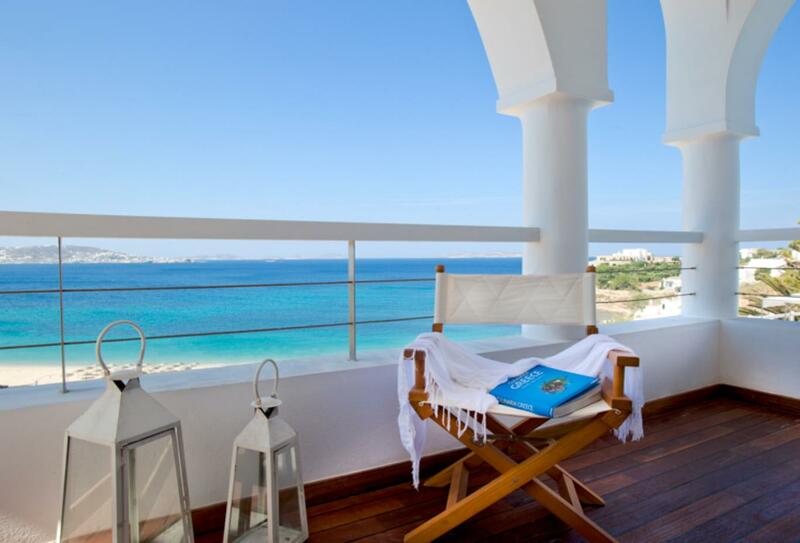 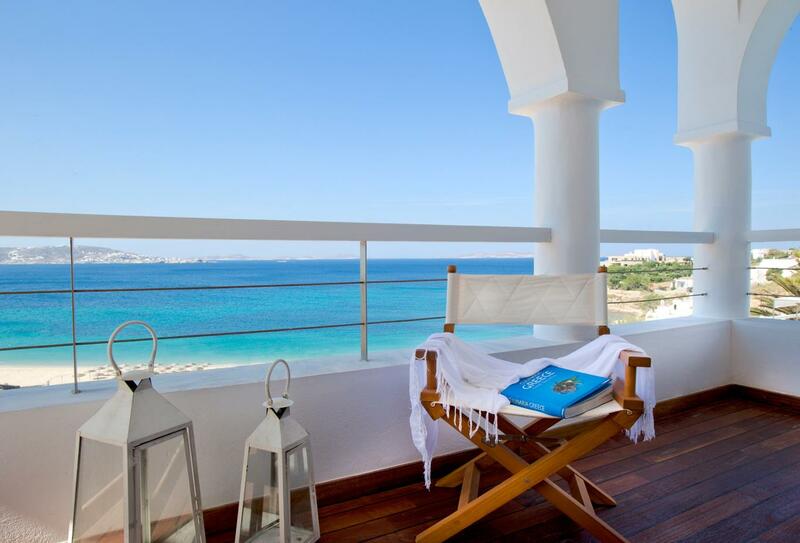 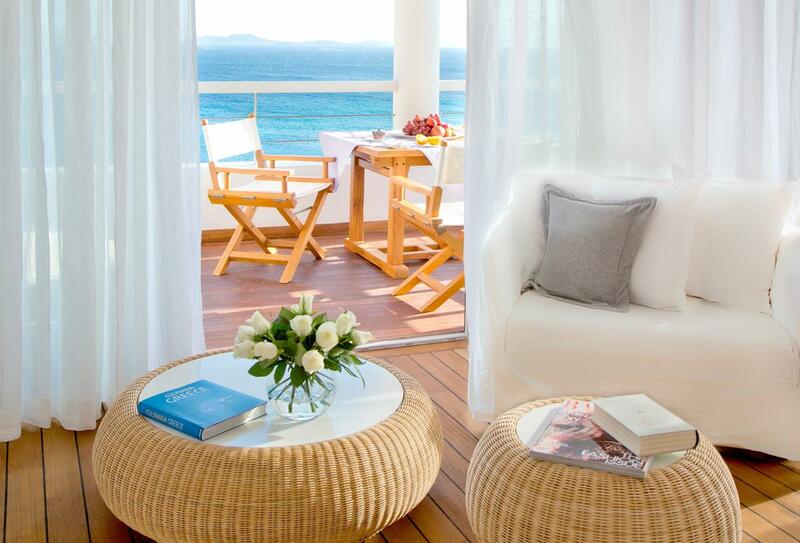 a private balcony with a dining area and an Aegean Sea view. 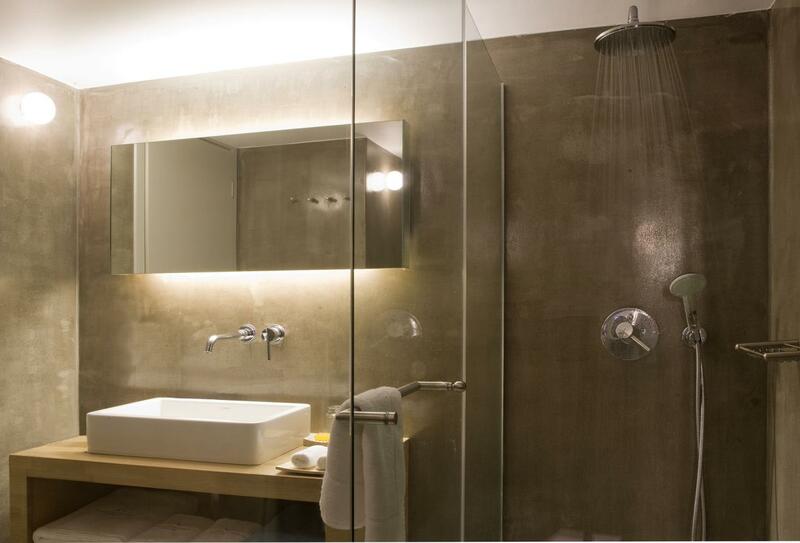 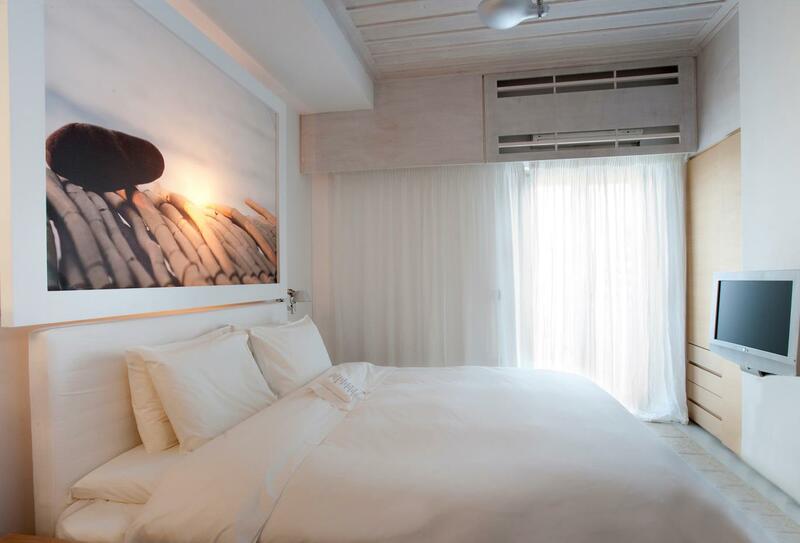 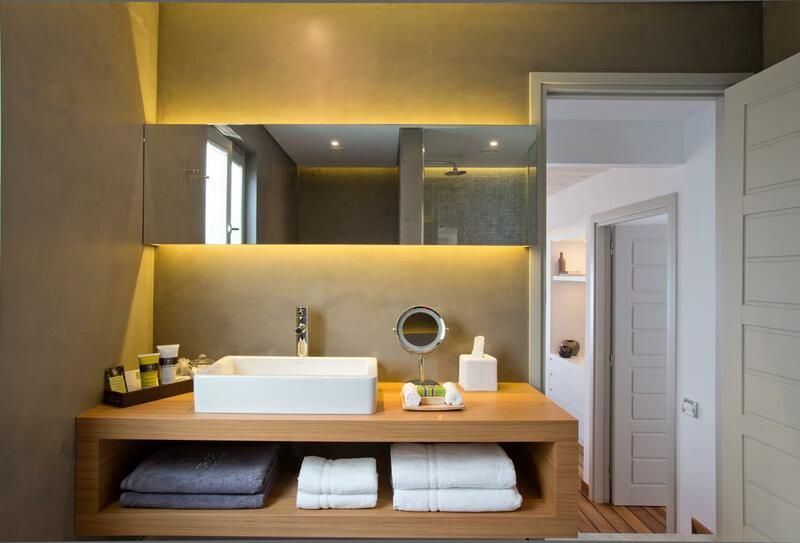 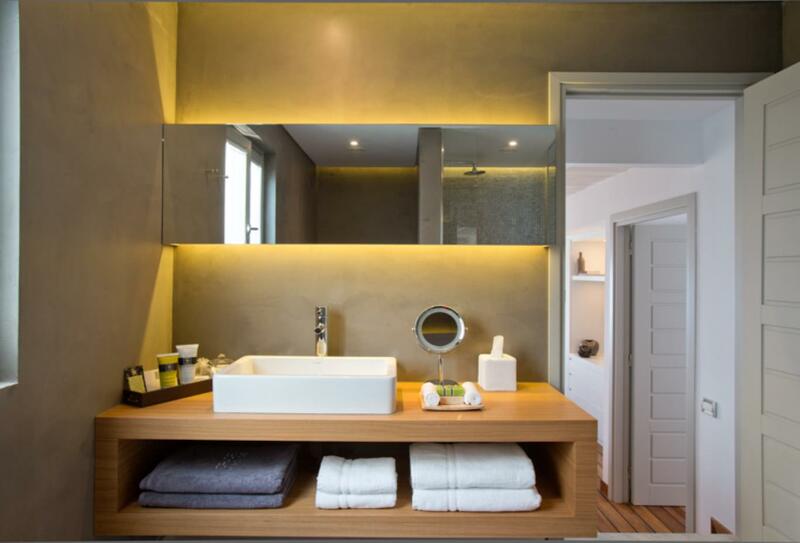 Each bedroom has independent access to a spacious terrace that features the private heated plunge pool. 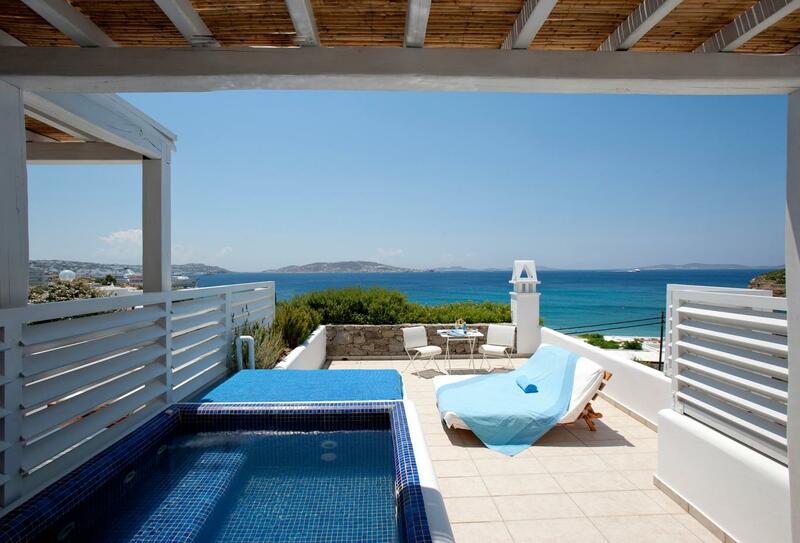 This suite has a furnished terrace with a temperature-controlled plunge pool and enjoys stunning westward views towards the town of Mykonos. 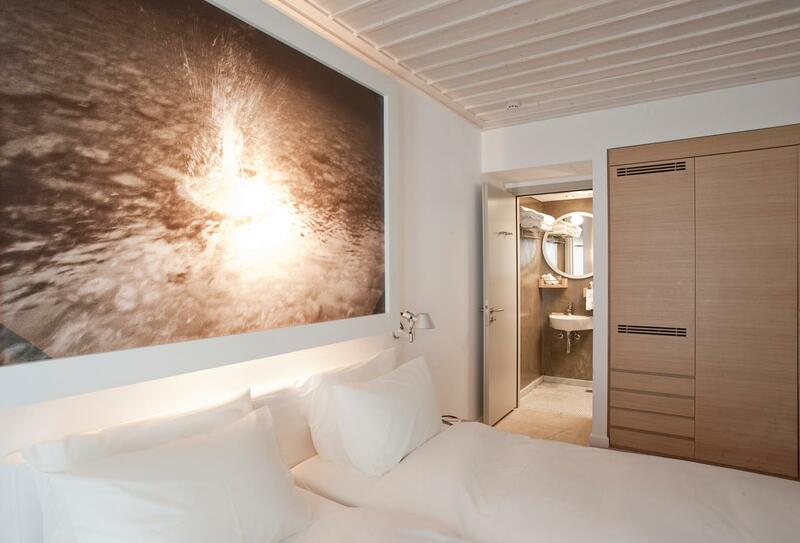 This VIP Suite features a veranda complete with plunge pool and a well-furnished veranda; indoors it features a walk-in shower and steam room and the suite itself enjoys an exclusive elevator service from the ground floor. 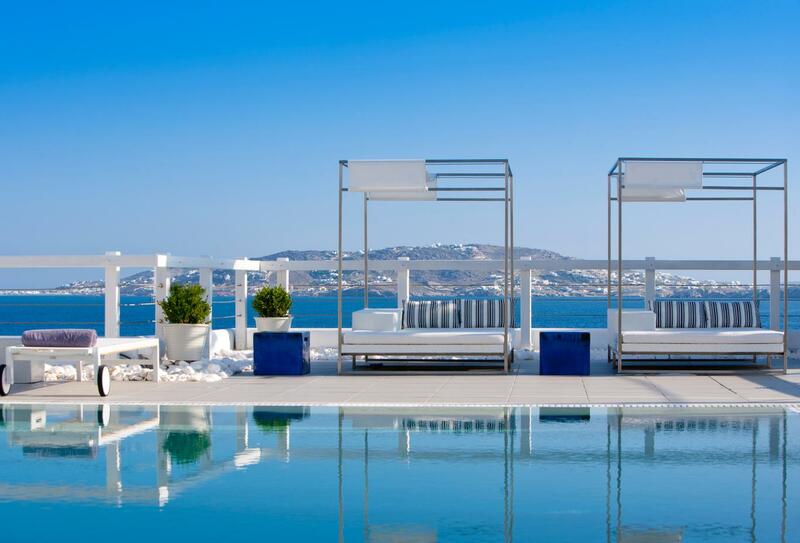 Located at the hotel’s highest point providing supreme views of Agios Stefanos beach and the town of Mykonos with a rooftop terrace with a large temperature-controlled plunge pool. 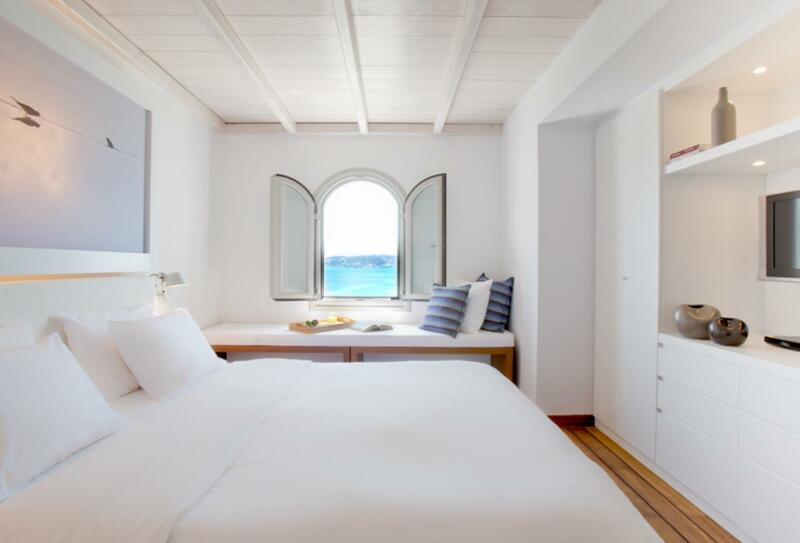 The Mykonos Suite comes complete with a living room and a veranda that overlooks the Aegean Sea, this suite houses a bedroom plus sitting and dining areas and a generous outdoor area. 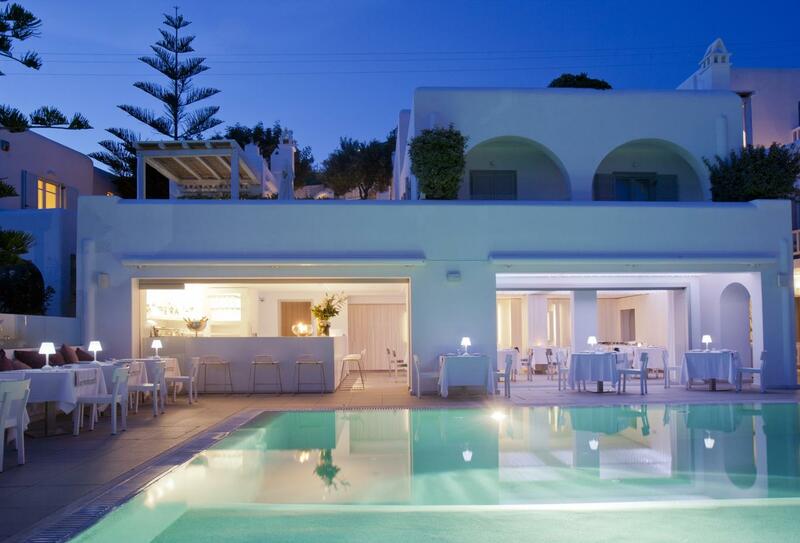 This stylish and renowned Mykonos restaurant provides a delicious buffet breakfast in the morning and a la carte breakfasts available all day alongside a menu of light snacks. 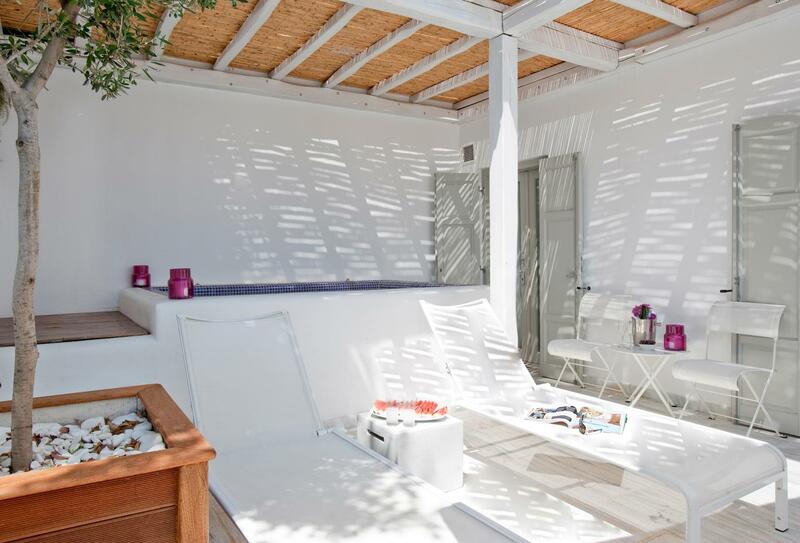 Poolside drinks service and extra treats like frozen juice shots and iced towels. 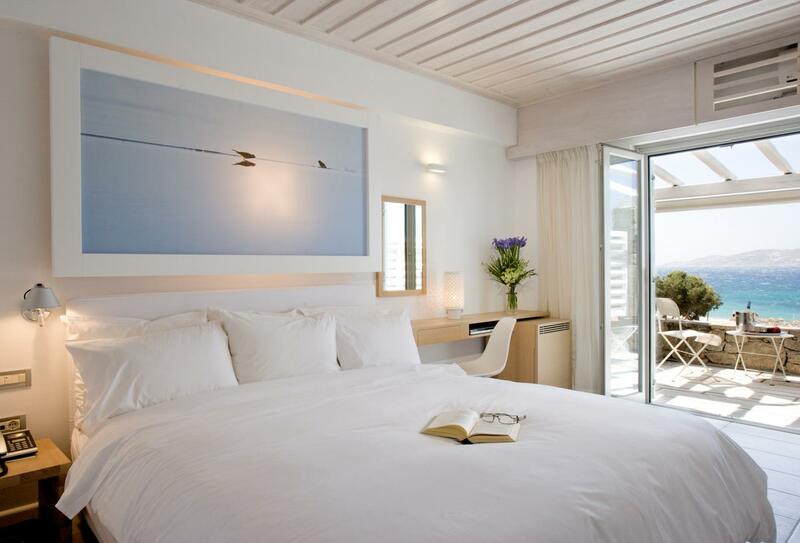 Grace Mykonos is situated just five minutes by car from the town of Mykonos and is located on Agios Stefanos beach. 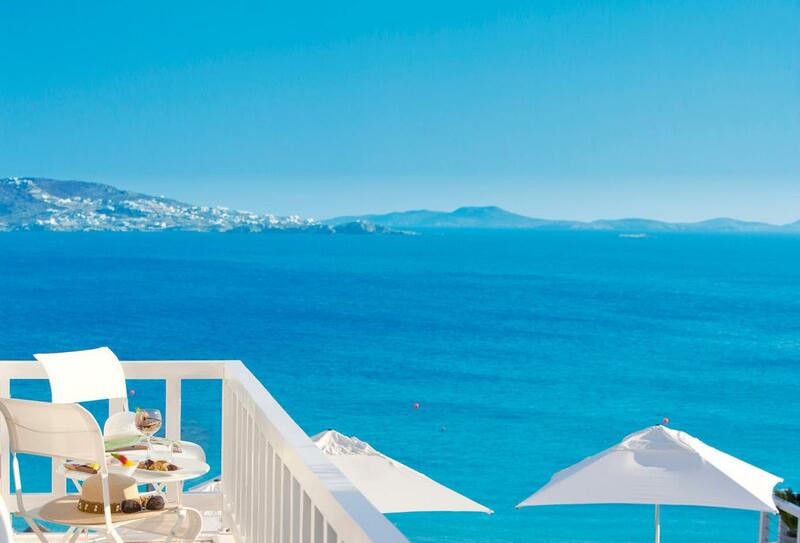 Mykonos Airport Is just a ten-minute drive away. 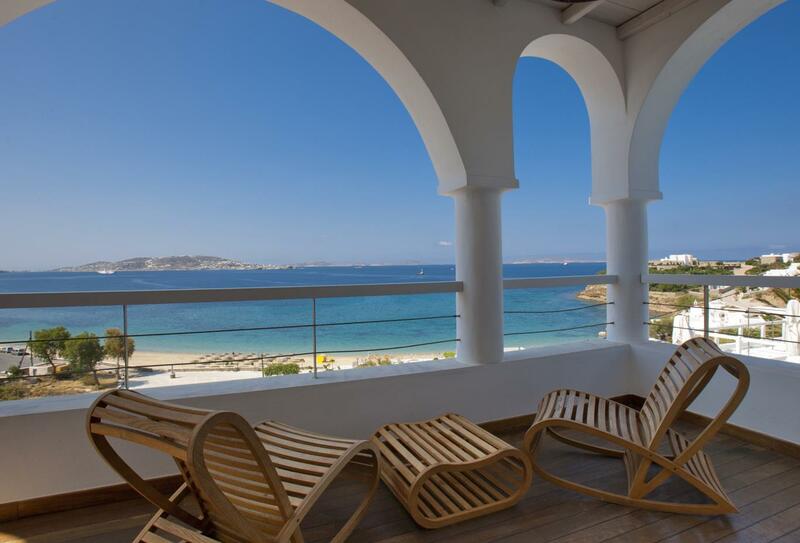 The Grace Mykonos provides a warm welcome to families with children, with an experienced team of professionals dedicated to ensuring facilities are as child-friendly as possible.